Create a look all your own with this set of four accent chairs. This modern chair is the perfect way to add additional seating during the holidays or for backyard barbecues. The sleek design makes the chair a wonderful choice for small spaces. 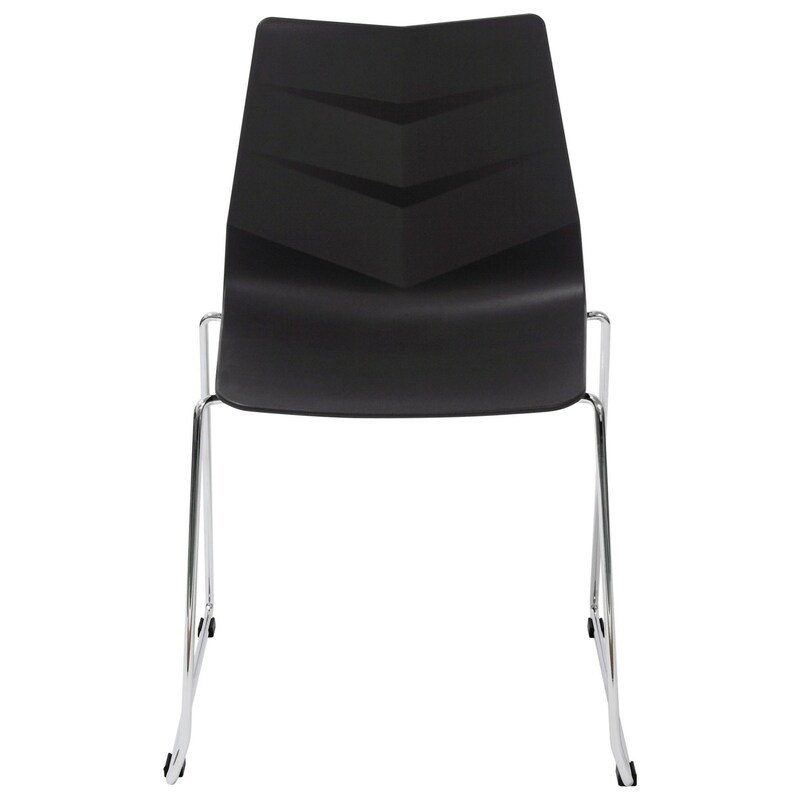 This unique chair features a durable polypropylene plastic construction with metal leg for lasting quality, which holds up in the busiest households. With no assembly required, this chic chair is ready to use out of the box. Foot guides protect your flooring from scuffs, and the gently sloped back of the chair offers optimal support and comfort. Chairs are packaged and sold in sets of four Chairs per Box. The Leaf Set of Four Outdoor Accent Chairs by Diamond Sofa at Red Knot in the Oahu, Honolulu, Kapolei, Pearlridge, Salt Lake, Hawaii area. Product availability may vary. Contact us for the most current availability on this product.